Its cloudy this morning with humidity seeping in, tomorrow there will be a cold front moving through bringing cooler weather. The Hummingbirds are very active with the flowered Jewel Weed near the computer window. 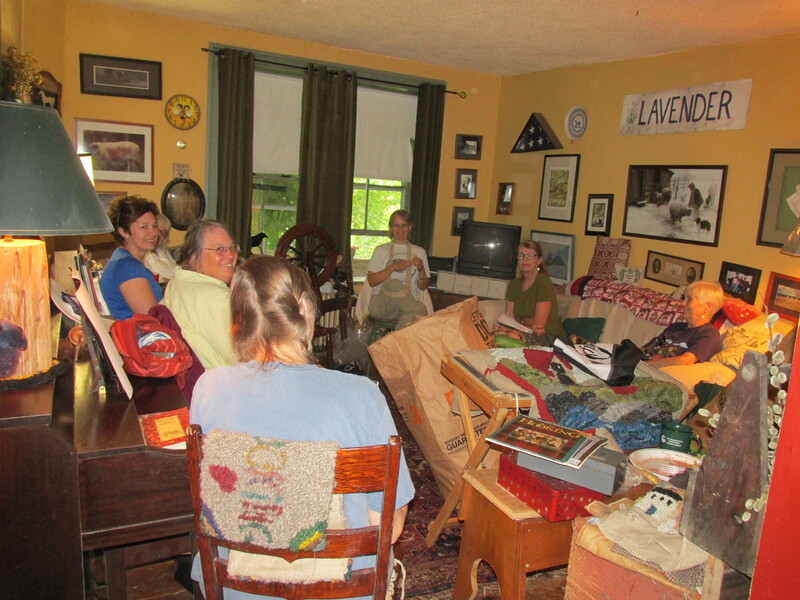 I hosted a reunion of the Spinning group Woolgatheres that I belonged to in the 80’s and 90’s yesterday. When I learned to spin in the early 80’s spinning was not very popular. 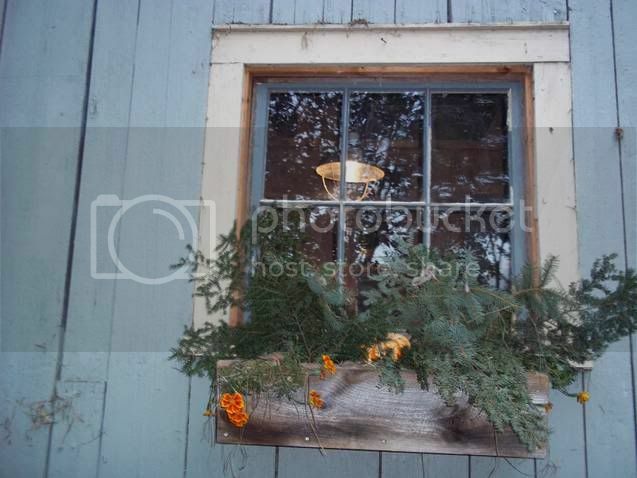 You only saw it at places like Old Sturbridge Village. Then I heard of the group called Woolgatheres. My friend Deb and I wandered through the wilds of western Massachusetts attending these wonderful meetings. We met the most down to earth, nicest gals who shared with us everything they knew. We learned more about sheep and wool at theses meetings then anywhere else . In the late 80’s the group changed as many of the earlier members went back to work. We had dye parties and loads of fun. Newsletters went out and the group got larger. As in life things changed and the group stopped meeting. For the past few years I have wanted to have a get together. Some of the old members have passed on so the need to meet again was greater for me. I sent out post cards to people I knew and could find . It was a wonderful day , many wonderful memories were relived and the inspiration to revive Woolgatheres came to life. We will be having a dye party next summer and meetings are being set up as I write. More members will be found. Another great adventure in life. Joan one of the members of Woolgatheres brought in two bags of fleece one was Icelandic and the other was Harlequin. I have never heard of a Harlequin sheep before. I investigate it and they are very interesting. They are a small breed under 24 inches and are very easy to handle and hornless. 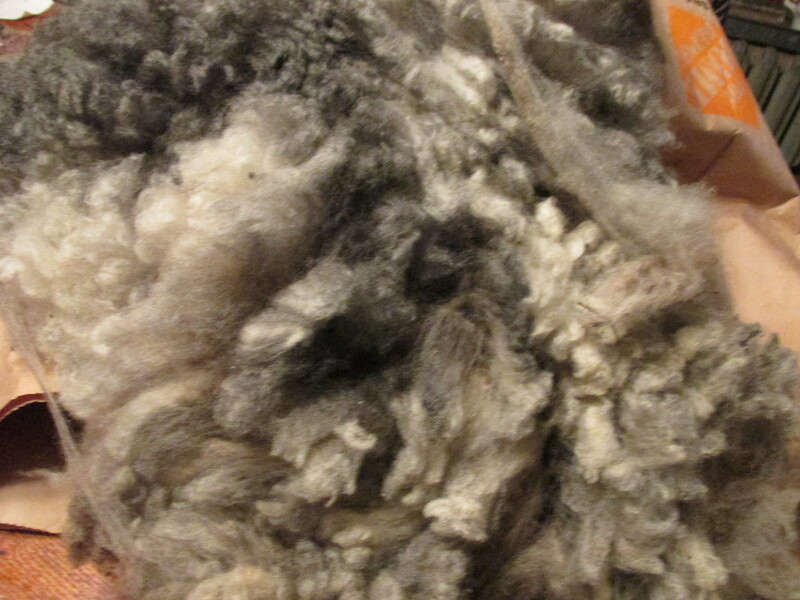 Their fleece tends to be spotted and it is fine to medium texture. Joan gave me some and I am anxious to spin it. Although they look like a Jacob sheep the wool is much finer. Planted late but working out very well. I put a fence for them as I had read how they do well growing vertically. Next year I will plant them on the long fence in the garden.